Pikesville, MD: Target team members at store #1541 have returned to work after a two-day strike over abusive treatment perpetrated by Store Team Lead (store manager) Kate Harley. Since Harley has taken over as the new store manager she has created a hostile work environment where team members (TMs) live in fear of intimidation, spying, and retaliation. Because of the collective action of Pikesville Target team members and their workers committee an investigation has been launched and has resulted in the removal of STL Kate Harley. Team members (TMs) await Target Corporation’s decision to fire STL Harley for her abusive actions towards Pikesville Target team members. TMs still demand respect on the job and the right to a workplace that is hostility-free. TMs also demand zero retaliation on TMs who’ve written testimonies, gone on strike, and united together to form an independent workers committee as protected by the National Labor Relations Act. Over the past two days team members have witnessed a tremendous outpouring of community support. Many community members refused to cross the picket line and honored our strike and call for a community boycott. Striking Pikesville Target team members also gained new testimonials from current and former team members recounting instances of abuse and labor violations. This included current team members who are pregnant. These team members HAVE NOT been properly accommodated, even having their chairs taken away which they used to take breaks as needed. Another former team member came forward sharing her and other TMs experiences who had been abused, unjustly disciplined, and fired by STL Harley at her last Target store in Colombia, Maryland. The community has also shown solidarity by helping raise funds to recover lost wages for striking Target team members. Pikesville Target team members and community supporters are ready to take further action to ensure abusive boss Kate Harley is removed from the Pikesville Target store and will remain on standby if Target Corporation does not comply with TMs and the community’s demand to fire Kate Harley and ensure a hostility-free workplace. Target Team Members at Store 1541 are on Strike! Team Members @Target 1541 in Pikesville, Maryland are on strike! Pikesville, MD – Target team members at store #1541 are on strike over disrespect and abuse perpetrated by their Store Team Lead Kate Harley. Since STL Kate has taken over workers are now stressed out both on and off the job because of her conduct, creating a hostile work environment where team members face intimidation, spying, and false accusations by STL Kate. Team members don’t feel they can trust the internal channels Target Corporation provides to hold someone in a position of power like STL Kate accountable for their actions. Team members know that STL Kate and District Manager Ryan are friends, this is a conflict of interest concerning her abuse and disrespect of rank and file team members. These team members have provided multiple testimonies (see below) on the work conditions under STL Kate, they are fed up with this treatment and demand she be fired from Target Corporation immediately! Target team members will remain on strike and are enacting a community boycott of Target Store #1541 effective immediately until their demands are met by Target Corporation. We are asking all team members and supporters across the country to show solidarity and call the Target Integrity Hotline to demand Target meet the demands of team members at store 1541! Call 1-800-541-6838 or send an email to Integrity@Target.com. Target team members are making a huge sacrifice by going on strike, including losing their pay. This time of year is very difficult for team members financially as our hours are slashed, every shift we are scheduled is crucial to cover our costs of living. If you are able please consider making a donation to the strike fund. Stay tuned for more updates on the strike! Rank and File Target Team Member Survey! We’ve launched our own Target team member survey! Target Corp’s ‘Best Team Survey’ has been seen as ineffective and not truly anonymous for team members to take without fear of being retaliated against for speaking the truth. So team members from across the country have come together to craft our very own rank and file Target team member survey. Please take this survey and share it with your in-store team members! We’ll publish the results to show how Target team members truly feel about the job and what workplace conditions are really like. It’s actually anonymous, we won’t share your personal info with Target Corp or sell it off to third parties. We want the executives and our communities to know what we are dealing with corporate-wide and use these results to help make change and improve conditions for Target team members. Pregnant and Homeless, Fellow Target Team Member at Store #1265 Needs Our Help! Our fellow Target team member Callie at Store #1265 and her partner are expecting, yet they’re facing a struggle many of us coworkers also share, and that’s access to affordable housing. We’re calling on all Target team members to help out, even if it’s just resharing this story to coworkers, family members and friends. We know this time of year is very tough for team members as Target executives slash hours and increase our workloads. Many of us are scrambling to get enough hours, even picking up yet another part time job to pay the bills and support our families. We will link at the bottom of this page to an online fundraiser to help our fellow team member Callie and her baby secure housing. Please reshare and make a small contribution if you can! TWU: Callie, how did you all find yourselves without a home? Callie: Growing up wasn’t the easiest, I was living with my parents who were thousands and thousands of dollars in debt, but they did what they could to provide for me and my siblings. With that being said, I started working around 14 years old and haven’t gone without a job or paycheck since. I started taking care of myself for the most part around then too, and that included paying for my own necessities and bills. As I reached the age of 17 I wasn’t living at home, but staying with friends. I’ve gone from house to house trying to stay afloat for as long as I can, helping out in anyway I could. But as I got older, bills got higher, and harder to pay. I’ve always managed to find a way to get by, but now with a baby on the way, approaching fast at that, there is no more I am able to give. My boyfriend and I do all we can to save and only spend when necessary. This has put the both of us at a standstill, plus with the government shut down currently it’s making it harder to get government assistance and help. 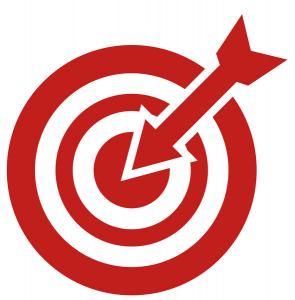 TWU: How much does Target have to do with your financial difficulties? Callie: Hours are never regular and vary week to week. Some weeks you can have a solid 35-40 hours, but other weeks will plummet to 17-25 when you are supposedly “full-time.” Target has even gone out of their way to change the way they function and now says “no employee is considered full-time.” Even trying to pick up an extra shift here or there only does so much. When you’re sick or have to miss a day they act as if the whole store will come crashing down without you, and this can cost you your job. TWU: Are they helping you at all during your pregnancy? Callie: No. I’ve even made requests to be moved from certain areas or have said I’m not able to do certain things anymore and it took me being injured at work and having to file an incident report for them to finally move me. Im lucky me or my unborn baby weren’t injured. TWU: How will you deal with the issue of pay or lack thereof while on maternity leave? Callie: I do get 6-8 weeks paid and might be able to apply for an additional 2, but after that there isn’t any pay at all. I had to qualify for this, but they also will only pay me my average amount of hours, which has plummeted since November. About 10 hours to be exact. I wouldn’t necessarily blame Target for the short 6-8 weeks pay entirely, but also the way the United States handles our maternal care. I’m not sure how I will be able to deal with this though. My only solution would be to come back to work as soon as I am fully healed and have someone to watch my child. I don’t know what I would do if I was a single mother in this predicament. My partner is working full-time and it still may not be enough to rely only on his pay check while I’m off. TWU: Will your partner be able to have any paternity leave? Callie: At the moment, no. I’m sure he will get some days off to stay with me in the hospital and spend time with the baby and I after she is born, but it is not paid. So he most likely will return to work as soon as she is born. TWU: Did you know we are one of only three countries in the world without paid maternity leave? Why do you think that is? Callie: I did actually, which I don’t understand. All mothers and fathers should have the right to take care of their child and be paid while on leave. And a livable income at that. I don’t understand how people expect you to get by without a pay check, especially with a new addition to the family. A newborn baby is very, very expensive. TWU: How could Target executives help your family through all of this? Callie: Be more supportive, and lenient on pregnant working mothers. Accommodate their needs, and understand what our bodies are going through. They need to realize there are major, dramatic changes going on some of us have never experienced before. I’m lucky enough to have been in great physical shape before my pregnancy so I wasn’t put on bed rest. I also wasn’t diagnosed with preeclampsia or gestational diabetes due to this, so I was able to work a lot longer then a lot of mothers out there. TWU: Why do you think they don’t help team members such as yourself? Callie: It’s all about staying within a budget and getting a bonus at the end of the year. A bonus none of us hard-working employees receive, but maybe a .50 cent raise yearly. TWU: Do you think Target respects pregnant workers? Callie: Im not sure about Target as a whole. With my store specifically it depends who your ETL is. Our previous ETL was very accommodating with my pregnant coworkers at the time, letting them sit and take breaks when needed, but now things have changed and I’m not sure if it was for the better. TWU: What do you think the answer is to this issue of being a pregnant worker who is struggling to find affordable housing and what duty do you think Target executives have to you and other pregnant workers? Callie: If they were more accommodating and helpful it would help end hunger and homelessness, especially for mothers who work full-time or even part-time, and do everything they can to give back. I wish they did more for us, even if we don’t fall in the middle class or higher. Those of us under the poverty line need help raising our babies too. How do you expect homelessness and hunger to end if no one is willing to help those in need, even when we are doing all we can to provide for ourselves and our children? “I’ve been with the company for 16 years. Been a lead for 6 years. This year, this job has given me serious anxiety that I have never had before with this company. I want to lead and develop a team to perform at the highest level but the expectations and capacity to complete all the tasks this company wants is absolutely unrealistic. It makes me feel like a failure and a heartless leader having to judge an employee who has been there for 3 months based on an employee with years of experience. If you are tired of the way things are and want to make Target jobs good jobs get in touch with us here! Victory for Target Workers at Store #1265! This past July Target team members at Target store #1265 began to organize and formed a workers committee to hold their abusive and racist STL accountable by demanding his termination as they went on strike. They won their demand, yet the in-store management tried to retaliate on Target team members for exercising their rights. As a result the Cockeysville Target team members filed charges with the NLRB and as the above letter indicates they won their case. TWU: So earlier this year you and some other Target team members at Target # decided to go on strike against your racist boss and you were successful in holding him and others accountable for abusing fellow team members. What has happened since then? Erica F: we were successful in getting 6 to 7 managers fired or forcing them to quit the store. Since then there have been many managers replaced and some similar issues have come up, but we were able to resolve some of the more glaring examples of discrimination in the workplace. One of the managers at the store that we protested against is still working here and there’s been several complaints filed against him at the level of corporate and they still haven’t fired him or reprimanded him. TWU: We see that your new STL sent a personal letter to you assuring you and your team members they won’t retaliate anymore for exercising your labor rights. Why do you think it was important to file a charge with the NRLB over this? Erica F: I think it was important to file a charge with the NLRB over interrogation, demotion, and surveillance because this contributes to setting a precedent for people in positions of power to not abuse said power in violation of the rights of their workers. Furthermore, it gives other workers in similar situations the hope that they can use their voice to speak out against abuses of power in the workplace. TWU: Where do you see things going from here? Do you plan to keep exercising your rights to make Target jobs better jobs? Erica F: As long as I work at Target and even after leaving this job I will continue to challenge the norms of bad behavior and abuses of power in retail. Ignorance is bliss and if we can disturb said bliss we can start to do the real work and give working class people sustainable jobs and financial security. TWU: What would you say to all the other team members out there who may be scared to exercise their rights? Erica F: While I won’t deny that it is scary to face your oppressors, things will continue to get worse if you remain silent in the face of oppression. Find other workers that have similar feelings and make sure that you can build a strong support system within your workplace that can support you in facing these difficult dilemmas. If you are fed up with the lack of respect and compensation from Target Corp we want to hear from you! Send us a message here and read up on how you can unite with the rest of us Target team members who are committed to making Target jobs good jobs!